Enabling strong security and convenience across the entire digital identity lifecycle from identity proofing to authentication, monitoring online sessions and beyond. Whether applying for a new credit card, opening a new account, accessing a record or conducting a transaction, today's consumers demand convenience, security and speed. And leading enterprises are turning to BioCatch to help them deliver. Our leading AI-driven behavioral biometrics technology is passive, invisible and resistant to the latest cybersecurity threats, and delivers impressive returns on investment across the digital lifecycle. Powerful behavioral insights are gleaned through the collection of more than 2,000 parameters on the web and mobile to address various use cases, returning real-time risk scores and indicators to enable legitimate users to conduct their online sessions hassle-free, while fraudsters are stopped in their tracks. 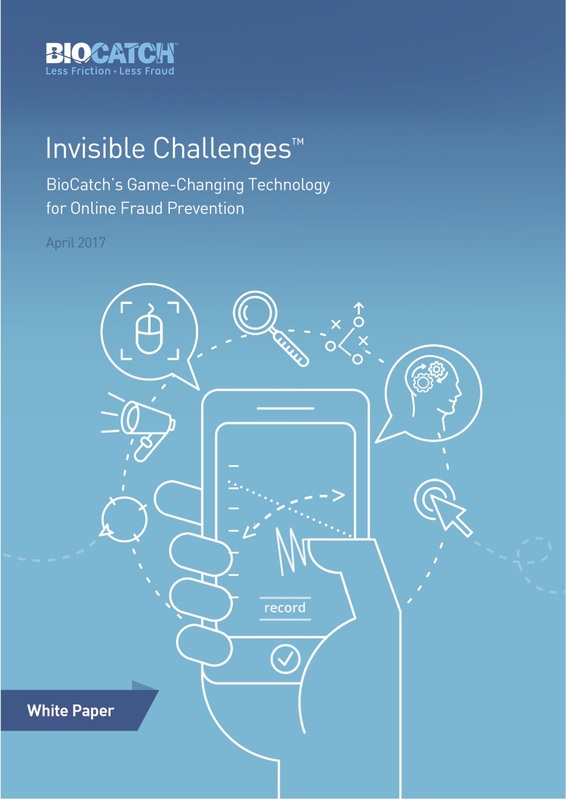 BioCatch provides an added layer of visibility in the identity proofing process, analyzing how, not what, information is entered. Behavioral insights such as application fluency, navigational fluency and data familiarity, are used to detect the use of stolen or synthetic identities and prevent new account fraud, even when no known user profile exists. 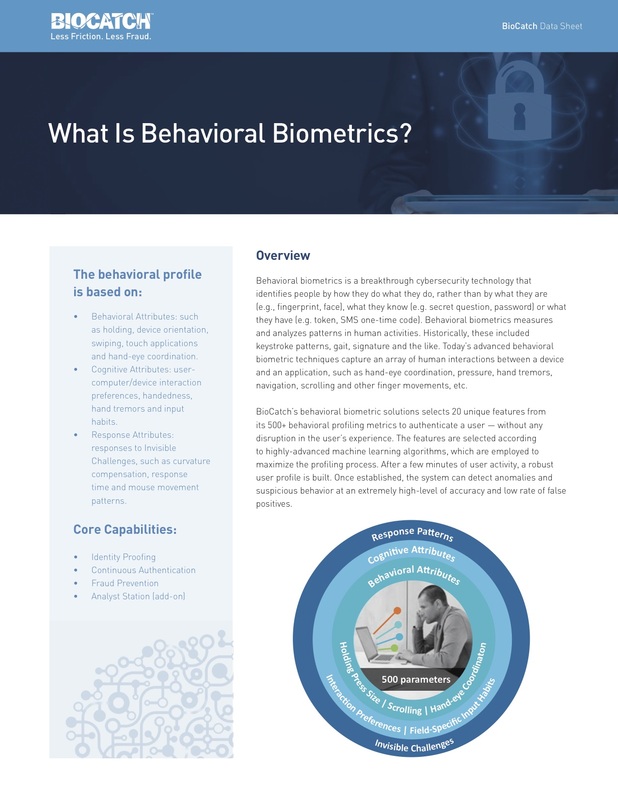 Working in the background without interrupting the user experience, BioCatch selects 20 unique features from its 2,000+ patented behavioral profiling metrics to analyze a user's behavior throughout a session. The system compares the user behavior in real-time against the profile to return an actionable risk score, triggering a step-up authentication only when an anomaly is detected. Focusing on innate user behavior, BioCatch keeps up with the latest cybersecurity threats, recognizing malware, bot activity, remote access attacks and sophisticated social engineering schemes, providing real-time alerts and keeping false positives to a minimum. Patented technologies like Invisible Challenges are resistant to device spoofing, replay attacks and other countermeasures that fraudsters use to circumvent the traditional defenses. BioCatch AI-driven behavioral biometrics goes where no traditional fraud prevention tool can, by leveraging nearly 300 disparate behavioral insights, like hesitation and confusion, to detect that a person conducting a transaction is under the influence of a fraudster, recognizing the subtle deviations from the normal users' behavior to protect against the latest scourge.